As you might imagine, I’m a big fan of bizarre science fiction. Peter Watts, Charles Stross, Edgar Allan Poe (who was such a good writer that he almost convinced me that you really could travel to the Moon by balloon). Lately, I’ve been reading Hal Clement’s Mission of Gravity, a charming and very well-thought-out book about a massive planet which spins so fast (once every eighteen minutes) that it’s flattened into the shape of a throat lozenge, with a polar gravity somewhere between 250 and 600 gees (instantly lethal to a human explorer), but an equatorial gravity of 3 gees (miserable, but survivable, especially with mechanical support). He called his planet Mesklin. Get your peyote jokes in while you can. Thinking about Mesklin kindled in me a brief but powerful obsession with fast-rotating planets. And, in the spirit of the thought experiment (and to justify the ungodly amount of time I spent researching the subject), I thought I’d share what I found. Planets and stars are massive things, so their gravity tries to pull them into spheres. If you think about it, this makes sense: over geological and astronomical timescales, rock flows like liquid. Therefore, it’s not unreasonable, for the sake of simplification, to treat planets like they’re made of an incompressible fluid. But all this talk of spheres and hydrostatic equilibrium ignores one important thing: every planet rotates. Some rotate very slowly. Venus, for instance, rotates so slowly that its day is longer than its year (243 Earth days versus 224 days; I’d hate to see a Venusian calendar). Others rotate really fast: Jupiter rotates once every 9.9 hours. Most of the other equilibrium objects (meaning: planet-like thingies) in the solar system fall in between these two extremes. This means that none of the planets are actually perfectly spherical. Rotation of an object generates a centrifugal acceleration (and, incidentally, also generates a lot of arguments about the difference between centrifugal and centripetal). Although from the viewpoint of someone standing on the planet, centrifugal accelerations and forces act like regular accelerations and forces, they’re technically “fictitious”: they’re a consequence of the fact that something that’s moving likes to go in a straight line, but in a rotating body, all the bits of mass are being forced to move in a circle by the rotation of the reference frame, and therefore must behave like they have a force acting on them, even though they don’t. For the Earth and most of the other planets, these centrifugal effects are small. Ignoring other effects, when you’re standing on Earth’s equator, you experience an upward acceleration of about 0.003 gees. That means every kilogram of matter feels 3.4 grams lighter on the Equator than it does at the poles. 3.4 grams is less than the mass of most small coins, so it’s not something that’s going to ruin your day. 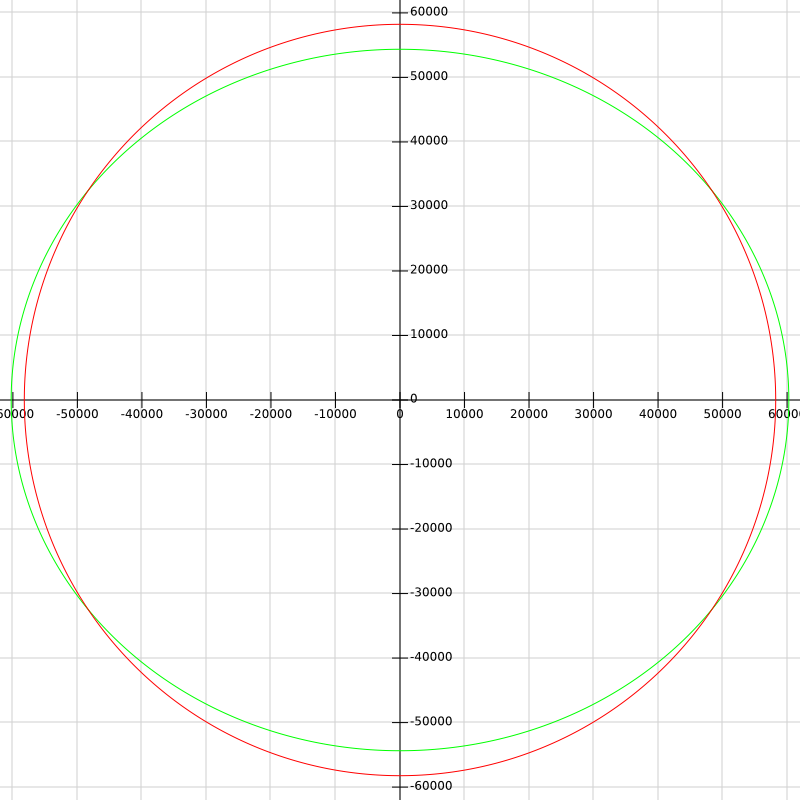 Here, the green ellipse represents the cross-section of a perfect sphere with the same volume as Earth. The red ellipse is the cross section of the real Earth. If you look closely, you can see that the red ellipse falls a hair’s-breadth below the green one near the poles. If you can’t see the difference this time, chances are you’re reading this in Braille, in which case I’m sorry if my alt-text is unhelpful, but that stuff confuses me. The squashed-ness of an ellipse (or an ellipsoid like the Earth or Saturn) is described by its flattening (also called oblateness), which is the difference between the equatorial and polar radii divided by the equatorial radius. 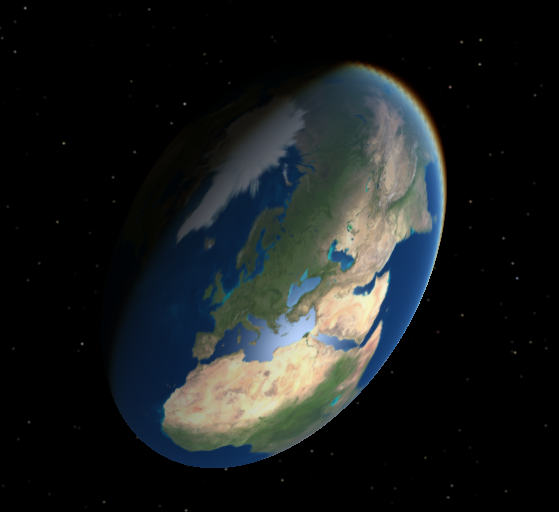 Earth’s flattening is 0.003, meaning its polar radius is 0.3% smaller than its equatorial. 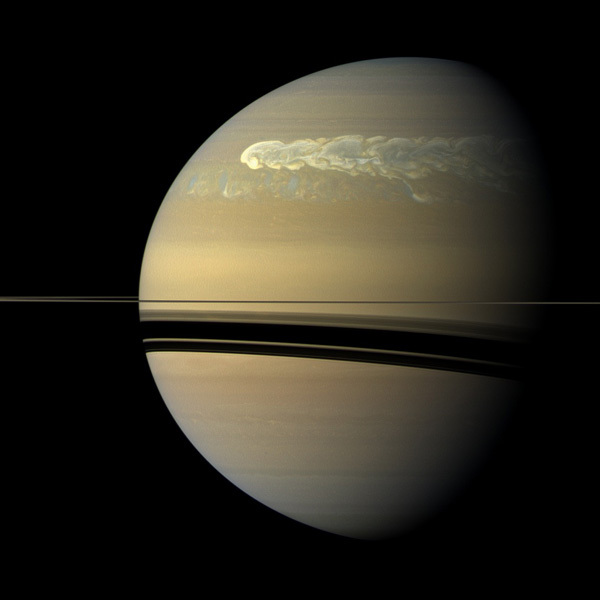 Saturn’s flattening is 0.098, allmost a full ten percent. I know that looks ugly, but trust me, it’s a lot less complicated than the math Newton and Maclaurin had to do to get there. You might think Altair is an extraordinary case, a freak of nature. But as it turns out, a lot of large stars spin very quickly and are very oblate. Vega, which is one of the brightest stars you can see from the Northern Hemisphere, is almost as oblate as Altair. 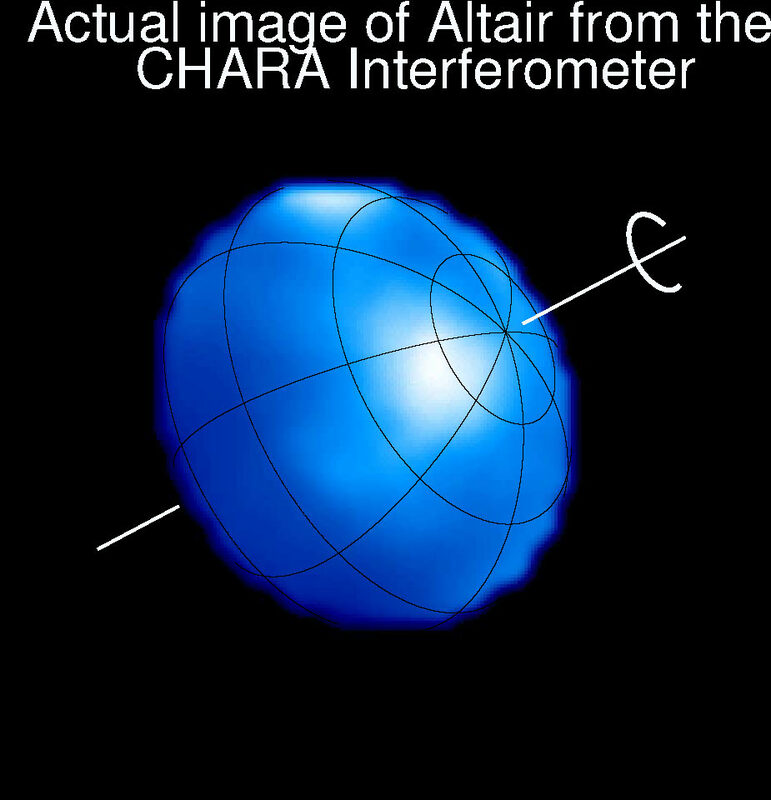 Achernar is even more oblate: it spins so fast that it has a belt of loose gas around its equator; it’s close to the maximum rate at which a star can spin without flying apart. Now Altair is a pretty weird-looking object, but you know me well enough to know that I like extremes, and while an oblateness of 0.25 is pretty extreme, it’s not super-extreme. (Can you tell I’m a child of the ’90s?) If we spun the Earth faster, could we make it even flatter? Sure. Up to a point. The mathematicians Carl Jacobi and Henri Poincaré both worked on the problem of fast-rotating self-gravitating fluids. They discovered that the pancake-shaped planet is the most stable configuration as long as its oblateness is less than 0.81, which, for Earth, means a rotation period of about 2 hours. Here’s what that would look like. This is one weird planet. If the Earth were rotating this fast, Australians would experience a gravity of much less than 1 gee. Hurricanes would have much smaller diameters because of the increased power of the Coriolis effect. 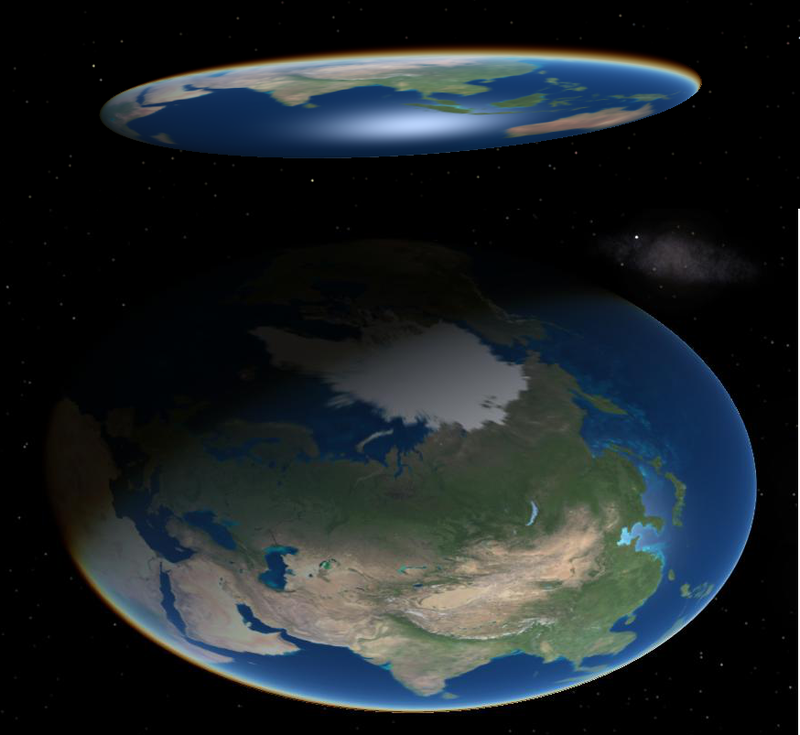 If we pretend that, somehow, human evolution proceeded normally in spite of the pancake Earth, cultures that developed in northern Asia, North America, and parts of South America might spend a very long time absolutely convinced that the Earth was flat, because to them, it would very nearly be true. Cultures in India, China, the Middle East, central Africa, and central North and South America, on the other hand, probably wouldn’t know what to think: If you looked north or south, the horizon would be much farther away than if you were looking east and west. Of course, if the Earth was spinning that fast, it would look nothing like it does today. For one thing, it would probably be a lot colder: for one thing, there would only be a small equatorial belt where the sun could ever pass directly overhead, and everywhere else would get its sunlight at an angle, which is what causes our winters. Human beings as we know them couldn’t live near the poles, where the gravity would approach 8 gees. Fighter pilots can handle that, but that’s only for short periods, and only after a lot of physical conditioning and centrifuge training, and with the help of pressure-equalizing suits. If we stick with the prevailing theory that modern humans began their outward migration in Africa, then they would probably only be able to spread as far north as Spain, Italy, Greece, southern Ukraine, Uzbekistan, India, China, and Japan. Their southward migration would be limited to south Africa, Australia, and possibly New Zealand. Human beings would have to grow a hell of a lot stouter and tougher to survive the trek through the high-gravity regions to cross the Bering Strait into the Americas. This would be an even weirder planet to live on than the pancake Earth from before. The tips of the ellipsoid would be the best place to live, since the gravity there would be weakest and they would have the best chance of getting direct sunlight. On the other hand, the bizarre geometry might make for some crazy civilization-ending weather patterns around the tips. Still, that’d be better than the wild centrifugal-Coriolis storms whirling east and west from the planet’s narrow waist. If, once again, human migration starts in Africa, it probably wouldn’t proceed much farther east than Europe and the Middle East, which would not only have the lowest gravity, but would have a better chance of having tolerable weather and getting regular rainfall. You might be thinking “What does all that have to do with anything?” I get that question a lot. Well, it turns out that there are objects in our own solar system which spin fast enough to distort into this shape. One of the largest is the dwarf planet Haumea, which is larger than Pluto along all but its shortest axis, and is larger than the Moon along its longest. Haumea’s been stretched into this bizarre shape by its rapid rotation: once every 3.9 hours. Now, you have to re-define oblateness when you’re working with scalene ellipsoids like these. 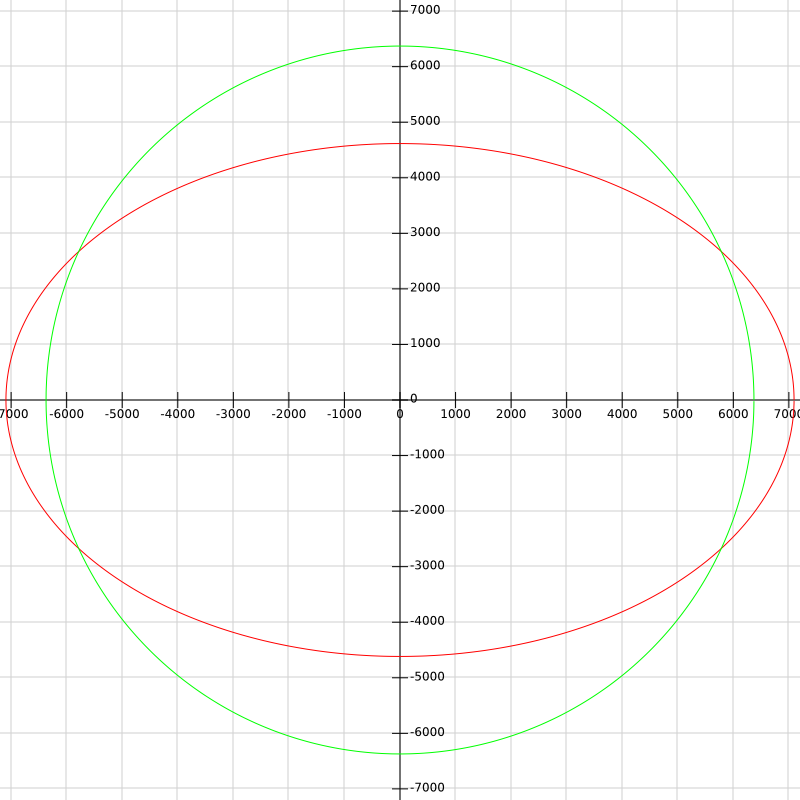 Because each of their three axes are a different length, there are actually three separate oblatenesses. 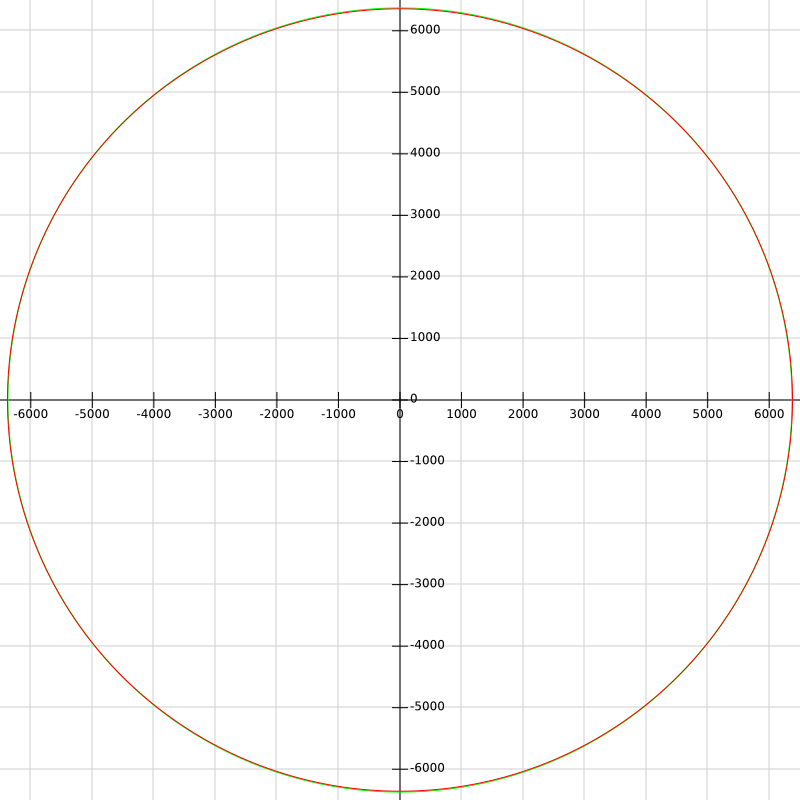 The one we’re concerned with, though, is the oblateness of the cross-section taken parallel to the longest axis. 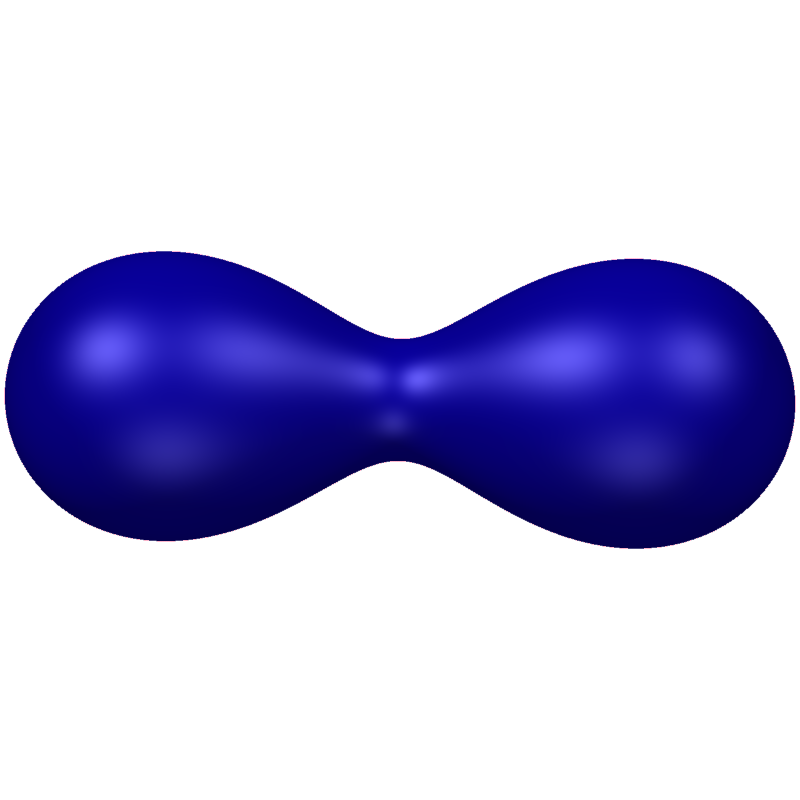 We’re interested in this because it turns out that, just like the symmetrical lozenge-shaped Maclaurin spheroid became unstable beyond oblateness 0.81, the suppository-shaped Jacobi ellipsoid becomes unstable beyond a long-axis oblateness of 0.93. At this point, the Earth would be shaped a little like a torpedo or a cartoon cigar. But what would happen as you pumped more angular momentum into it? Until now, we’ve been able to get a pretty good approximation by assuming that the Earth is a zero-viscosity fluid of uniform density. But the results of exceeding the Jacobi limit depend strongly on Earth’s material properties. Simulations of such fast-spinning fluids have been performed, and depending on how they compress under pressure, sometimes they deform into asymmetric cones before splitting in two, and sometimes they lose mass from their tips, which carries away angular momentum and slows their rotation until they return to the Jacobi equilibrium. There is reason to believe that the Earth would take the fission route rather than the mass-shedding route. The Earth, after all is a solid object made of fairly strong stuff. Stars that spin too fast (like Achernar) tend to lose mass, since gas doesn’t hold together too well. Planets, on the other hand, tend to break into smaller planets. This would be an even weirder place to live than the others. Picture this: you step outside your house one summer evening. The sun has already set, but the other lobe of the world reflects enough light to give the yard a pleasant glow. You can’t see the waist of the world from here, but you know it’s there. At this very moment, planeloads of businesspeople are flying vertically up through the waist to the continents on the other side, and cargo ships are sailing up the massive waterfall that connects the two halves of the planet. As the shadow of your half of the world creeps across the opposite half, you see city lights coming on on the other side. Weird, right? What’s weirder is that, as in the case of the absurdly oblate objects we looked at before, contact binaries are not all that rare. 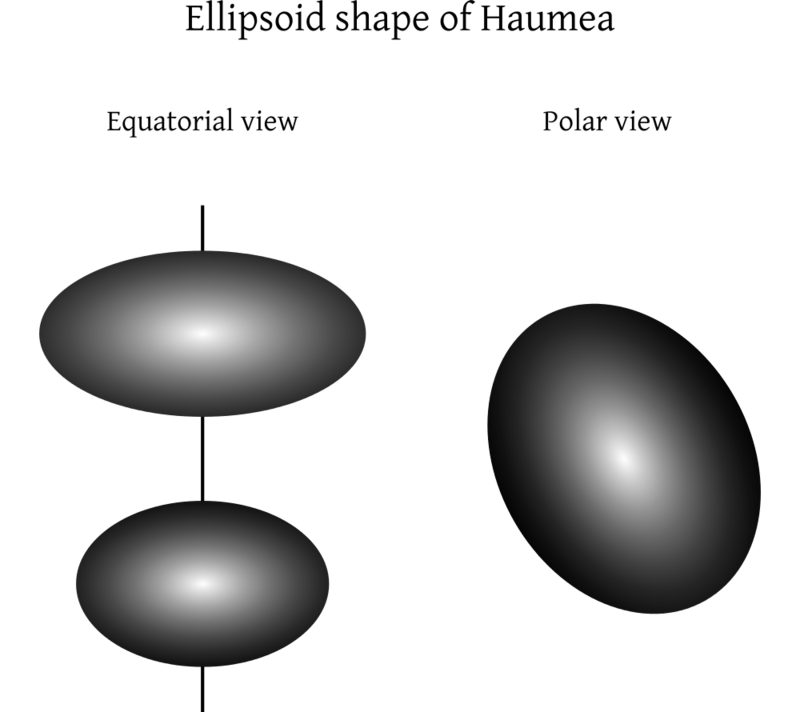 Many asteroids are contact binaries. The comet 67P/Churyumov-Gerasimenko (which, as of this writing, is being explored by the Rosetta spacecraft) might be a contact binary. 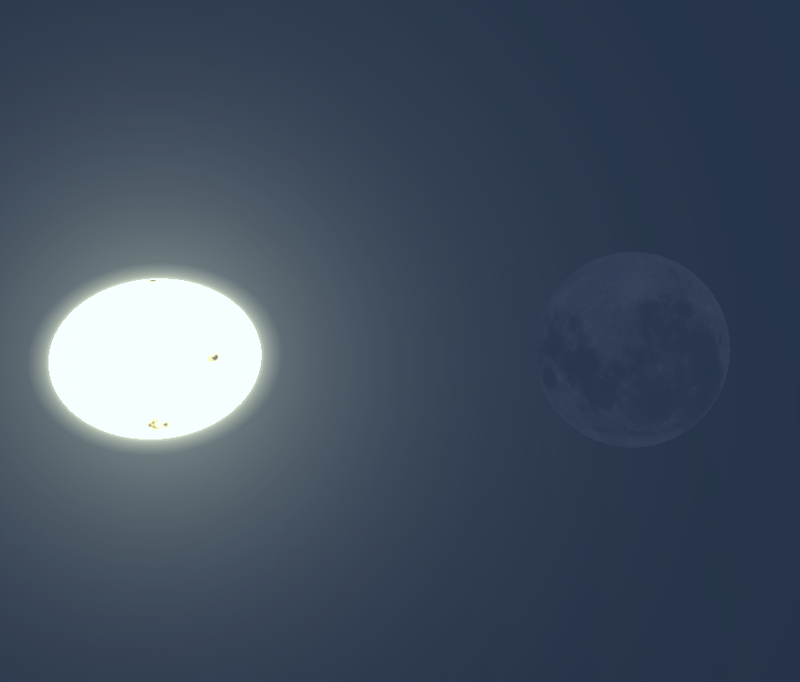 Weirder still, there are contact binary stars. It seems strange that an object like a star could survive direct contact with another star, but contact binary stars actually form a whole class, called W Ursae Majoris variables, after W Ursae Majoris, a double star which looks like a peanut. 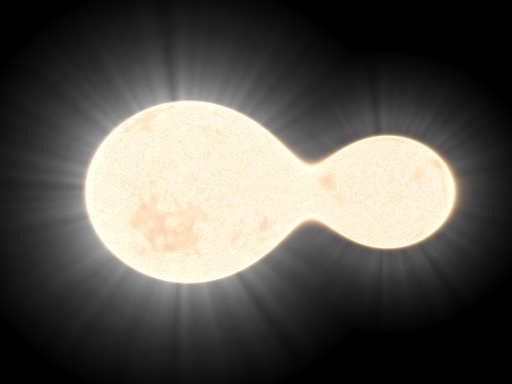 Contact binary stars don’t behave like any other kind of star. That’s partly because they’re essentially one star with two cores, which means the whole surface tends to stay at the same temperature when it normally wouldn’t; it’s also partly because of the huge angular momentum you get when two stars orbit that close together. The universe can be a really weird place, but I have to admit, for all its messiness, it can be pretty aesthetically-pleasing, too. I mean, look at all those pretty ellipses up there. They’re smooth and curved like eggs (or parts of human anatomy, if you stretch your perverse imagination). And they’re proof that we humans can be clever when we work at it. Isaac Newton figured out his flattening formula using math and physics he helped invent, and this was in a time when hardly anybody had indoor plumbing. Now, we’ve got Rosetta getting ready to drop a lander on a comet, and next year (2015), we’re going to get our first up-close looks the giant dwarf planets Pluto and Ceres. We’ve got plenty of flaws, don’t get me wrong, but we can be pretty cool sometimes.